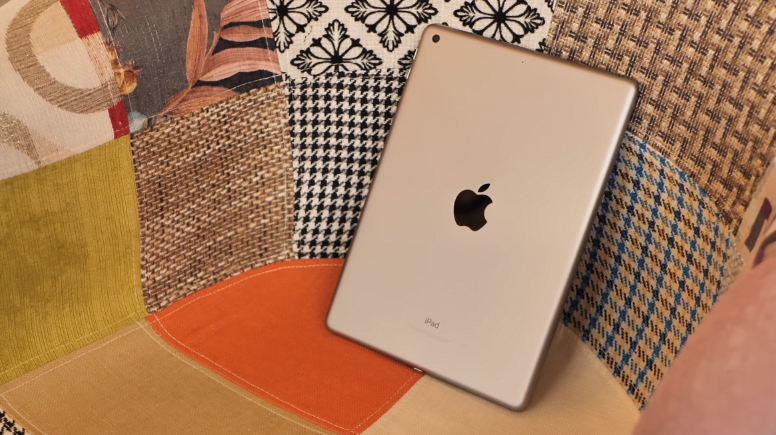 iPad 2018 Review: Should we wait for the upgrades? After a hiatus, Apple launched its entry-level iPad 2018 this March which has left everyone wondering about what’s going to be in store for them in the latter half of 2018. Apple had us all waiting for its very first iPad for this year primarily because of the rumored face ID feature launch. Was the iPad 2018 worth the wait? Let’s find that out in our detailed review which pretty much sums up everything from price to performance. At the first glance, iPad 2018 looks no different than first iPad Air. Visually exquisite, this brand new iPad is not as sleek as iPad Pro. The tablet is chic and way too good for the price. Having the same built, 2018 9.7 inch model has Apple A10 processor that works at an astonishingly faster speed than most of the iPhones out there except for iPhone 8, 8 plus and X. The outward appearance, however, has not changed much but that has never been the case with any of the previous Apple’s iPad upgrades. 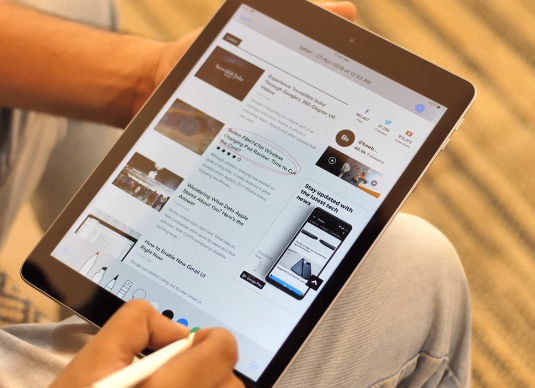 Since the iPad now has Pencil stylus too, iPad 2018 is a win for anyone who wants to get creative working on their gadget. Pencil support comes installed in the iSuite which works well with various Notes apps. Be it annotations on a PDF file or a picture, its responsiveness will never disappoint. What is even great is that its responsiveness to finger, too, is not a letdown. If you don’t want to pay extra for the pencil can even skip it and use your finger. It may not be as good as a Pencil, of course, but you can always buy it later when you can afford it. iPad 2018 is equipped with an LTE speed of 3000Mbps. For people who are always having conference calls on-the-go, this could be a good fit. Its price range starts from $329 for a 32GB model. For 128GB and LTE cellular options, you will be charged $100 and $130 more respectively. Considering the classy look that iPad 2018 has, the price seems reasonable. 2018 9.7 inch model comes in three colors; gold, space grey, and silver. At the launch of this iPad, the speaker mentioned how the new gadget reflects Apple’s commitment to education. The schools are unsure of its utility to date. Other tablets in the market offer competitive pricing packages than 2018 9.7 inch model. The pencil will still be costing you an extra $99 with schools getting a maximum discount of $10. You can buy iPad 2018 on Amazon. Surprisingly, iPad 2018 has an extended battery life which is too good to be true for an iPad. 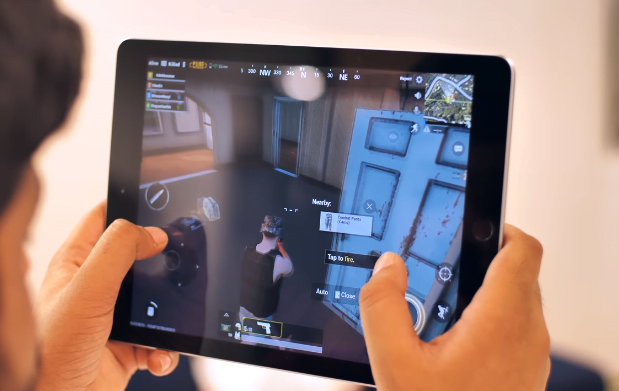 Play as much as video games you like because not only does this iPad has a better battery life but games also load faster. 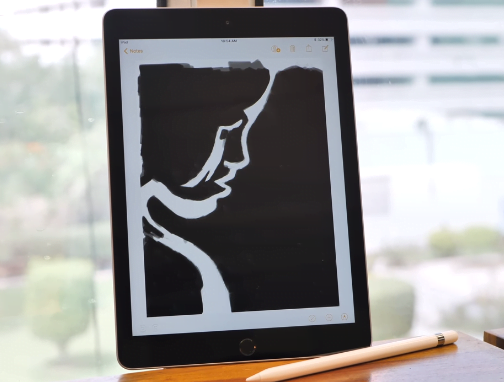 Equipped with iOS 11.3, the users can seamlessly draw or write text using either the pencil or their finger right after typing. The users can also search for their hand-written text through Spotlight search. 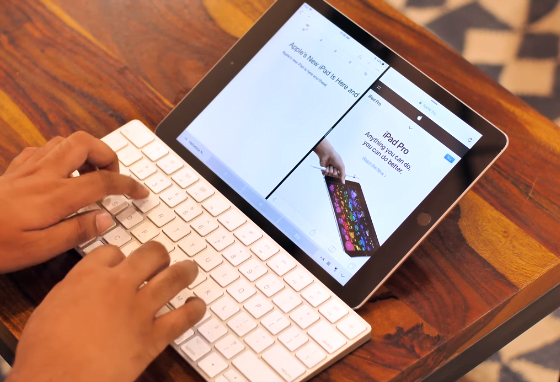 This feature allows you to split the keyboard in half, one section per side of the screen, for easy-typing using both the thumbs. With the two new view options, the users can use two apps simultaneously. Just drag another app while one app is open from the dock. You can either slide one app over the other or split the two apps on the screen with a 50/50 and a 25/75 split option. iPad 2018 provides easy access to the control center in two ways. Users can either tap the home button twice or perform a long swipe from the bottom of the screen which takes them to the control center. Users can also record a video of the screen from the control center. The screen recording feature comes with audio control. Turn the microphone on or off as you like. If you want a relatively faster working iPad equipped with a better processor and an option to use the pencil then iPad 2018 is just the right option for you. However, if you are still looking forward to facing ID feature, don’t settle for it as yet. Apple has a few launches lined up and rumor has it that the facial recognition feature is set to stun the audience sometime in September. There is no better value 9.7-inch tablet available in the market right now better than iPad 2018. However, if you want a much slimmer iPad than this, we recommend you to wait till September. Adding iPhone Gestures to your Android – How To? Content writer by profession, but scientist at heart who secretly believes the conspiracy theories about AI taking over the world. Tech-savvy lover of sci-fi thrillers who loves to travel.